Of the three promoted clubs last term, West Ham were probably the most comfortable in terms of avoiding the drop, impressively finishing in 10th position. Given the vast amount of Premier League experience in the squad and an accomplished manager in Sam Allardyce, they were certainly the best equipped. 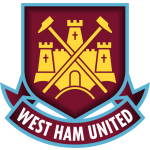 With such solid foundations and a year’s Premier League experience for some of the younger players, the ambitious Hammers will be looking looking to kick on and challenge for the Europa League places this time around. Big Sam has been around the proverbial block when it comes to Premier League management and is highly respected amongst his peers. Following a very successful spell at Bolton Wanderers, he took the reins at Newcastle in what turned out to be a disastrous spell as injuries and boardroom turmoil meant he was never given a chance to implement his ideas. Following this, he moved to Blackburn Rovers in what was developing into a relatively promising spell in charge before being bizarrely sacked by newly appointed owners the Venky Group, a decision that was slammed by many Premier League managers. Allardyce’s next challenge was to replace Avram Grant at relegated West Ham for the start of the 2011/12 Championship season. He would go on to lead the Hammers to promotion via the play-offs and despite many believing it would be a short stay in the top flight, managed to guide his team to 10th place and a top half finish. A feat that Big Sam will be looking to build on for the coming season. The permanent signing of Andy Carroll from Liverpool could be crucial to West Ham’s chances of sustaining the success of last season. 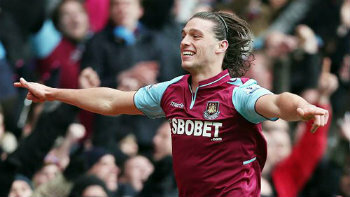 Big, strong, brilliant in the air and more than competent on the ground, Carroll represents the perfect target man that Sam Allardyce has traditionally utilised. However, since his record £35million move from Newcastle to Liverpool in 2011, Carroll has consistently struggled with injuries and last year proved no different as he managed just 24 appearances in all competitions with a return of only 7 goals. 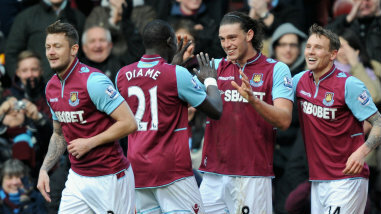 With further injury ruling him out of this season’s opener against Cardiff, West Ham will hope that this does not become a feature of the new campaign as despite his disappointing goalscoring feats last term, Carroll had a hand in many more and linked well with the likes of Kevin Nolan and Mohamed Diame’s runs from midfield. Furthermore, the team seemed to struggle without his towering presence up front. At £15million, Carroll represents a sizable investment for a club like West Ham and they will be hoping he can have a season free of injury as there is little argument that a fully fit Andy Carroll has the potential for performances befitting of the highest level. 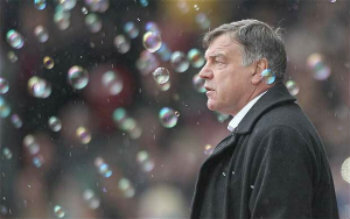 A finish of 10th place has seen a renewed sense of optimism instilled into Hammers fans. However, while the sides around them such as Norwich and Southampton have sufficiently strengthened their squads this summer, West Ham have taken an expensive gamble on the injury plagued Andy Carroll. Of course, that gamble could reap certain rewards but with Carlton Cole leaving the club after 7 years, one has to wonder whether West Ham will have the firepower to fire them to their targets this season, particularly if Carroll’s injury problems persist. 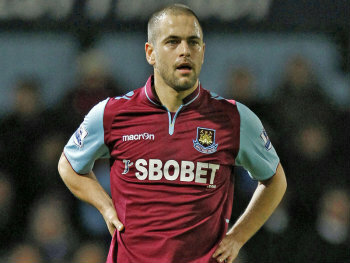 Kevin Nolan will inevitably contribute his fair share of goals as will tricky wingers Matt Jarvis, Joe Cole (pictured below) and probable new addition Stewart Downing. Yet none of the above can be relied upon to score the 15-20 goals needed for a Europa League push. This, coupled with the strengthening of their rivals, means that West Ham could struggle to reach the heights of last season but still should avoid any real relegation worry. Tags: Andy Carroll, Carroll, Diame, Joe Cole, Kevin Nolan, Premier League, Sam Allardyce, Stewart Downing, West Ham, West Ham United F.C.